Back in January, we predicted that an Apple TV would be sold like an iPhone, via a proprietary deal with a select MVPD, who’d offer their subscribers an iPhone-like discount on the beautiful new box for a two-year engagement. So now I’m invoking Clause 34.2.A of the 2007 Addendum to the 2005 International Internet Code* to take that back. I still think Apple is still going to offer someone a proprietary deal for its product similar to the one described above. Only the product is not going to be a TV set, but rather software that will put a beautiful new interface on the TV you already own. And that’s exactly what the TV industry needs right now: a well thought out interface. And these are billed as vast improvements from earlier versions. So back to Apple. What’s the one thing Apple arguably does better than anyone else? User interface. Say what you will about the iPad, it’s beautiful and it’s intuitive. And right now, TV needs something that’s beautiful and intuitive. Which makes the first real TV OS the obvious move for them. The OS would live on the set top box of whichever MVPDs they signed a deal with. It would be a premium product that would turn millions of dumb terminals into objects of great envy. While being rightly hailed as yet another incredible innovation from Apple’s design geniuses. Though not nearly as genius as what will happen two years later, when Apple introduces an improved version of the interface as a second screen iPad app (available through the Apple store) to anyone whose MVPD has paid through the nose to support the Apple TV platform and get a customized app for their subscribers in return. Said app replacing the need for a set top box and creating a whole new world of second screen experiences. Caveats: It’s quite likely that an Apple TV line-up will only have 50 or 100 channels, as not every network will want to/be able to accommodate Apple’s demands. Apple may even pare down the list themselves, so as to create a “Best Of” type collection. Either way, you can be sure most all of the usual suspects will be there. And profiting handsomely from it along with their friends in Cupertino. 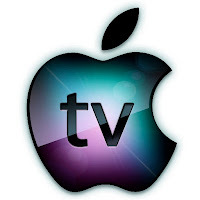 UPDATE, 8.15.12: The Wall Street Journal is reporting tonight that "Apple Inc. is in talks with some of the biggest U.S. cable operators about letting consumers use an Apple device as a set-top box for live television and other content, according to people familiar with the matter." This also ties in with a post we did back in January, predicting that Apple would be looking to do an iPhone like deal with major MVPDs.